Are you a fan of domestic juice? Constantly consume them and sometimes you wonder are they healthy? Prepare drink that will be a real body infusion. Yummy, healthy and will maintain your general health condition on high level. It can be consumed it in unlimited quantities. This drink is a multivitamin , so it is considered a valuable food and effective remedy for boosting immunity. This body infusion drink contains vitamins A, B , C, E , D, PP, K , as well as a whole range of minerals – magnesium, calcium, iodine , iron, potassium , cobalt , sodium, flavonoid and nitrogenous compounds. Beetroots are among the top ingredients recommended for detoxification of the body. It is a superfood due to the presence of powerful compounds which allow toxins to be flushed out instead of reabsorbed by body. Beetroots are renowned for being great liver cleanser. It contains the substance betalain which is a powerful antioxidant that has anti-inflammatory properties and aids in detoxification. Researches indicate that betalain can exhibit anti-cancer activity as well. 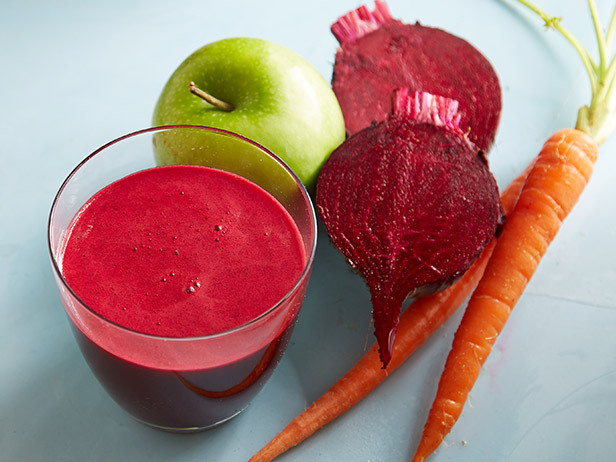 Combine beetroots with other healthy organic ingredients like green apples, carrots, lemon and honey and prepare this healthy body infusion juice, and let your body benefit from the full potential of such antioxidant-rich combinations. Include beetroot on regular basis and heal anemia and tiredness by using this gift of nature. Systematic use of this drink helps to strengthen the nervous system and improve immune function . Carrots greatly affect the digestive processes, the function of liver, gall bladder, kidney , as well as all the glands of the body . This drink increases vitality and immunity, improves blood circulation, calms the nervous system , normalizes cholesterol and cleanses the body. What ingredients do you need for this natural body infusion? Grater all ingredients together, add the honey and the lemon juice. Allow the mixture to stand for 24 hours. Then squeeze the mixture and strain it through medical gauze. It is best to consume at least one cup of the juice in the morning, but most important, you can drink as much as you like.